Our focus is to provide you with the most up to date, accurate real estate information in the Emerald Coast region of Florida. 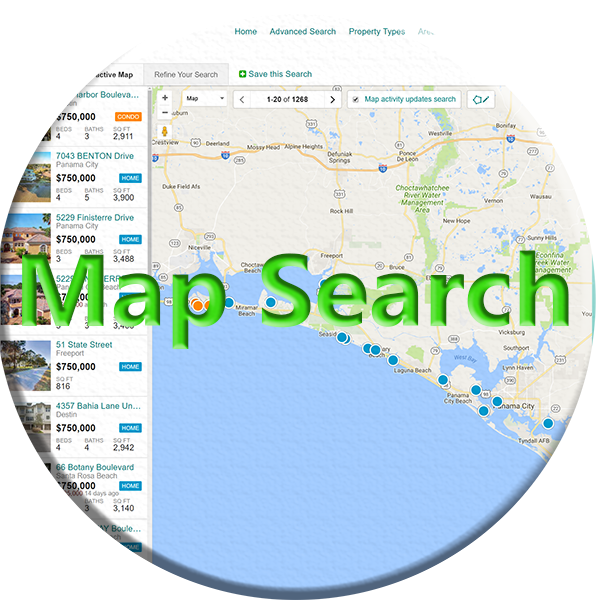 On this site we will provide you with all the current listings for sale, pending sales, and sold data along the Emerald Coast. We sell property in Bay, Walton, Okaloosa, Santa Rosa, Jackson, Washington, and Holmes counties. Property types are organized by Homes, Condos, Land, and Commercial. Each area will have the following property types for sale. Property type can then be broken down into sub-types. Panama City, Panama City Beach, Lynn Haven, and Callaway.